Tommy Glen Grady, born in Glen Rose, Texas on October 15, 1962, to Edgar and Nora Maples Grady. Tommy grew up in McDade, Elgin, and Bastrop and attended school there. Tommy later moved out of state. He was a self-made mechanic and loved the outdoors. Tommy was most passionate about the love of family. 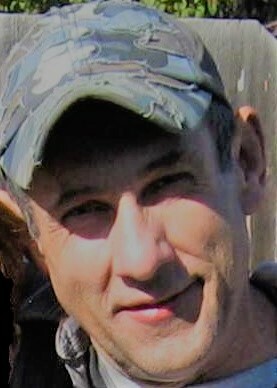 Tommy was reported missing in the state of Oregon in January of 2016. He was found in Oregon deceased almost two years later on December 23, 2017. He was identified by the Texas State Laboratory in Denton on January 23, 2019. Tommy is finally coming home to his family in Texas. Tommy is preceded in death by his both his parents and one brother, Carroll Grady. Surviving family members are his daughter, Jennifer Grady; his three brothers, Forrest Grady and wife Connie, Mike Grady and wife Gertrude, and Craig Grady and wife Rosie; his sister, Sandra Grady Cole and husband Richard Cole, and his sister-in-law Jo Grady; as well as many nieces, nephews and other family members. Family and Friends will gather for Graveside Services at the Lawhon Springs Cemetery, on Sunday, April 14th at 11:00 AM with Brother Joshua Hausladen Presiding. Following graveside services, a Celebration of Life will be conducted during a repast at the Elgin VFW.